Many raw diet dogs — those who are fed raw meats — ought to have their diets modified after a cancer diagnosis. Much attention has been placed as of late on raw foods for dogs. Many raw food diets are really excellent, balanced nutritional rations that can significantly improve health. We should clarify whether we are discussing a diet for healthy, vigorous dogs, or whether we are talking about a dog afflicted with cancer. These are two different states of body health, two different instances. One main difference is that dogs, at least those dealing with aggressive, malignant, hard-to-cure cancers, usually are walking around in a state of immune compromise. 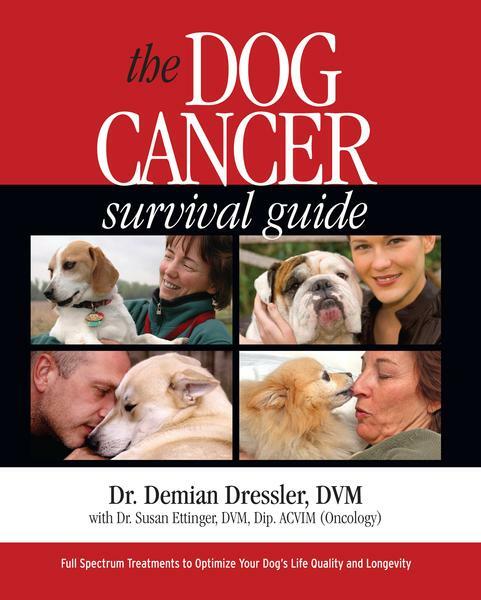 This means their immune system is not as good as that is the body of an average dog without cancer. If the dog has a cancer and is also on chemotherapy, or being treated with radiation, the immune compromise will be even more severe. These dogs, in particular, have quite weakened systems due to the effects of the chemo or radiation on the white blood cells and other body parts. What is the connection between the immune system and raw diets? Well, when we are talking about raw food, we can sometimes be talking about certain bacteria found in the uncooked food, in particular meats. One of the benefits of cooking is that you kill germs. These microbes are most commonly found on the surface of the food, after it is stored for a while in the plastic and foam containers we buy at the store. A dog with cancer, in particular an overwhelming cancer, and most especially a dog on immune suppressing treatments, is susceptible to these microbes. And they may get sick as a consequence. Some examples of these disease causing bacteria are salmonella, e.coli, and campylobacteria. These germs can cause food poisoning. Old, ground, raw meat is the highest risk of containing disease-causing microbes like these. Now, does this mean that every dog who eats raw meat will get sick? Of course not!! But guess what? If only 10 out of 100 does, and your dog is one of those ten, it will matter a lot to you! In the next post we will look at more aspects of this area of health management. Hi my dog has a al cancer . I e been follow g the Dr dressler diet with supplemts out book for the past 3 half years with great success. I’ve just found out my girl has a enlarged liver and higher that normal liver enzymes PAL 723 ALPt 203 MY QUESTION IS and No one seems to know at my vet . Is the k9 immunity ALHO mushroom supplent should I stop this ? Will this do her liver any more damage . Thank you I really hope you can help me I’m so worried I am givi g a supplemts that could now damage liver . My Diamond since she was diagnosed with cancer in his leg, we changed her food to natural food, besides that, if we gave her raw meat had to be of good quality and fresh the same as we ate our family … the vet gave her only three months to live …. hard but exactly one year, with much care and MUCH LOVE! That was the reazon why she live a longer life. I’ve been commercial raw foods since our dane has had lymphoma. In remission now. The commercial ones go through testing and “cleaning” to rid bacteria, and are frozen that kills even more. She’s been doing great, but as of a week ago it seems like within a day she has gone downhill. Blood work was excellent and vet just put her on some pain meds, but I don’t she handled those well and I stopped. The dog now barely gets up, barely eats (I even started simmering the raw food, which helped some) and has lack of motor control/coordination. She also has lyme’s that was in remission, testing tonight to find out if it’s back. not sure where I’m going here, but our dog has done well on raw, could food poisoning cause such problems, but no digestive issues? what about raw vegetarian foods? raw food eaters say that eating raw vegetables makes immune system better……..? Thanks for your article. I have a dog with bladder cancer and on herbals supplements and meds from the vet. I opted NOT for removal due to age. I appreciate knowing all of your input. My vet gets your newsletters (via me) and she is working to maintain quality of life with me and I am grateful for that.